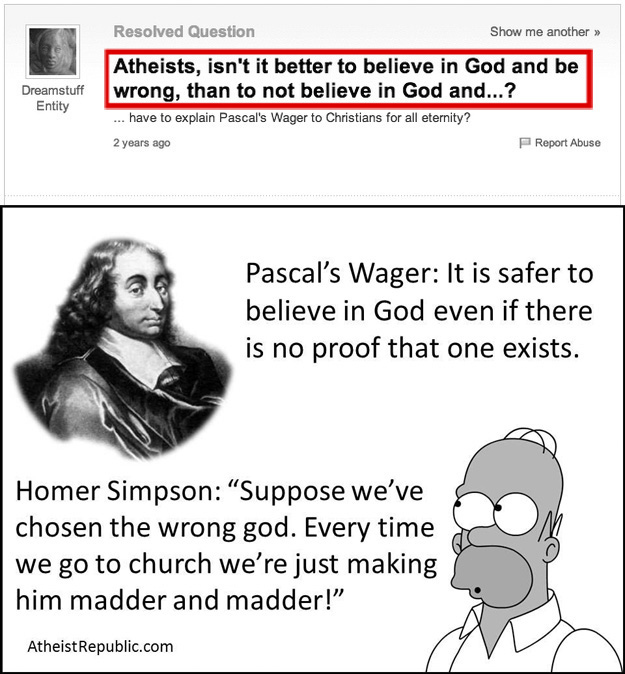 Pascal’s Wager is a idea that religious folks, especially Christians, use against atheists all the time, even if they don’t know that the idea is called Pascal’s Wager. In short, the wager goes like this: If God doesn’t exist you gain nothing for believing and lose nothing for believing. If God DOES exist, you gain heaven for believing and you get stuck in Hell for not believing. Hedging your bets doesn’t work when you actually consider that other Gods might be the One, True God.